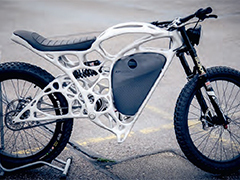 The Airbus APWorks Light Rider is the world's first 3D printed motorcycle prototype. 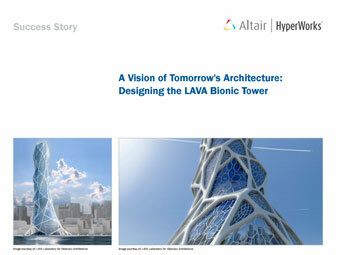 Altair OptiStruct® was used for inspiration of its organic structure. 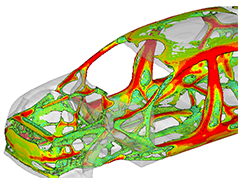 Using additive manufacturing, a simulation-driven design process approach and topology optimization during the process achieved optimum lightweight design. 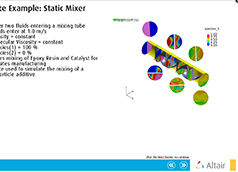 First out of 6 multi-body dynamics webinars presented by Rajiv Rampalli. 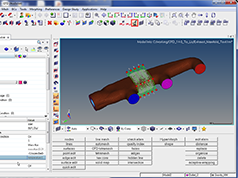 He is giving an overview over Altairs solutions and provides many examples and talks about how customers are using Altair solutions for their MBD needs. 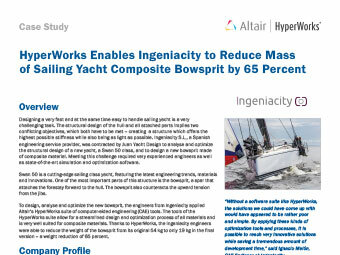 The project focused on the design and construction of a skiff, a particular kind of sail boat, within the given regatta regulation. 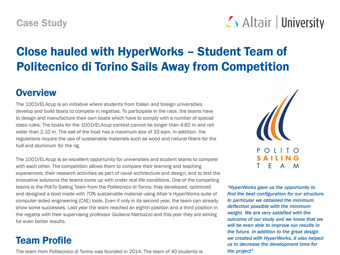 With its modeling and calculation tools, HyperWorks helped the team to significantly reduce weight while increasing stiffness, while saving time and costs. Erwan Mestres (Business Development Director) is presenting a comprehensive overview of Altair's crash solution RADIOSS, touching on basics, model setup, safety models (such as dummies and barriers), and also analysis speed-up with e.g. 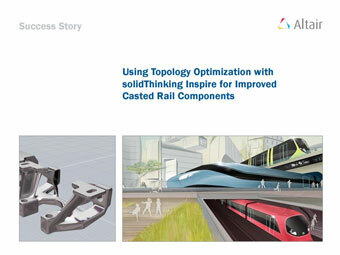 scaling or sub-modelling. The consumer goods industry is fast paced and highly competitive, with designs becoming increasingly complex while the timeline for production shrinks. 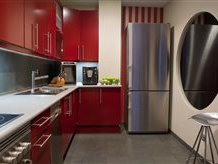 Companies like Mabe must innovate and develop new products quickly in order to remain on the consumer radar, and conducting various analysis studies on their designs helps them to do so. 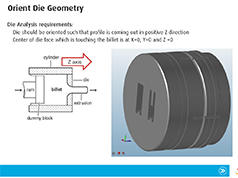 This project addresses the tedious and time consuming task of modeling the foam within the product door that helps maintain the internal temperature and also absorbs shock in a drop situation. 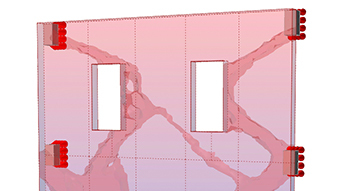 Modeling the foam effectively is complex and difficult due to the complicated nature of the doors and other cavities, so the step was often skipped, causing inefficiencies with the product. 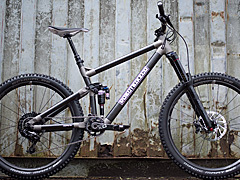 During the development of a new carbon fiber bicycle, the design team at Sweden based Rolo Bikes, wanted to develop a frame which exhibited world leading strength and stiffness attributes while keeping weight to an absolute minimum. 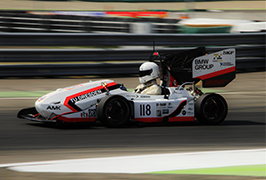 The team required an efficient process to design the frame and test it in a virtual world against the industry’s safety and performance standards. 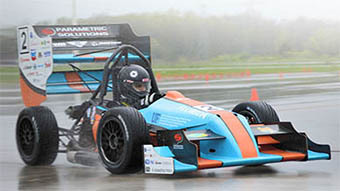 Gator Motorsports utilized Inspire to redesign its brake pedal, as well as suspension bell cranks. 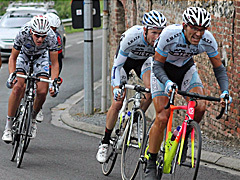 This resulted in increased stiffness and a reduction of weight. 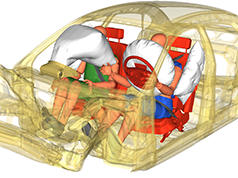 This webinar will introduce the latest crash and safety capabilities in HyperWorks 14.0, working with RADIOSS, LS-DYNA and PAM-CRASH. 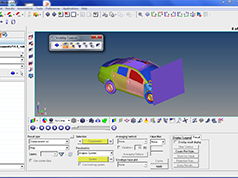 It also reviews other powerful tools and recommended processes available in Altair’s pre- and post-processing software. J. Kin, S.Cosgrove, R. Jaiman, and J. O’Sullivan. 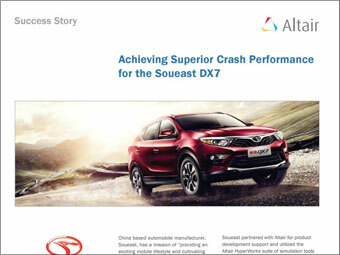 This webinar covers how advanced optimization techniques helped FCA Engineering India Pvt. 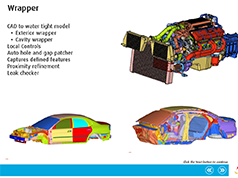 explore the lightweight component design of a vehicle suspension system. 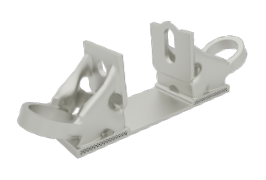 For this purpose, the development process of a track bar bracket will be shown, highlighting how a lightweight and durable component design was achieved. Dr. Byungsik Kang is explaining how upfront engineering with FEA methods made a big impact at Hyundai Motor Group. 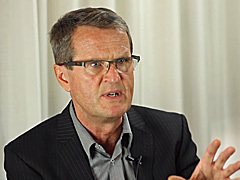 He also explains the importance of designers using simulation for their own need at the early stage of development. Last but not least he is talking about the power of the solver OptiStruct to find entirely new designs. 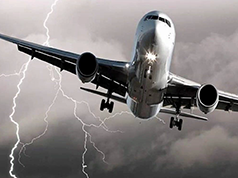 This webinar will give an overview and update on the EM simulation solutions (FEKO, Flux and WinProp) in HyperWorks for the aerospace industry and its segments covering applications and real use cases from antenna design and placement, EMC, RCS and wave propagation to electric machines, actuators and sensors and high power equipment. 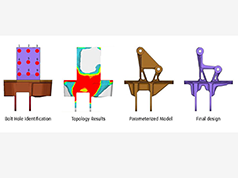 The Politecnico di Milano University implemented generative design software to quickly and easily identify the ideal shapes and materials for three architectural design concepts. 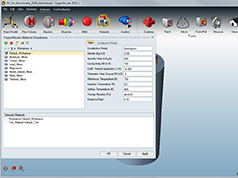 This video summarizes the latest features of OptiStruct 14.0.120 which are very relevant for aerospace engineers. 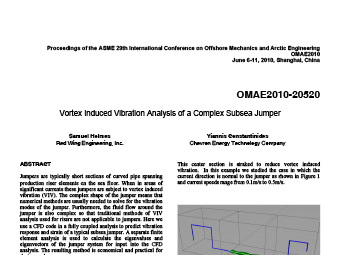 The topics discussed are new stress constraints for topology optimization, a 'fast contact' algorithm, tape laying manufacturing for composites, fail safe topology optimization, and resultant forces and moments as design criteria. 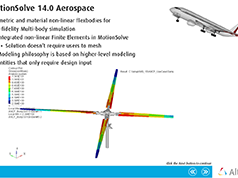 The webinar also touches on MotionSolve and RADIOSS as solvers for the Aerospace industry. 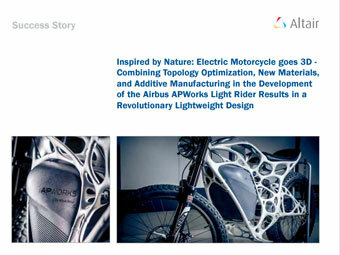 Despite its skeletal appearance, the Light Rider is an extremely strong yet lightweight electric motorcycle designed by Airbus subsidiary APWorks as a showcase of what’s possible when OptiStruct's topology optimisation is coupled with metallic 3D printing. Written by Tanya Weaver from DEVELOP3D. 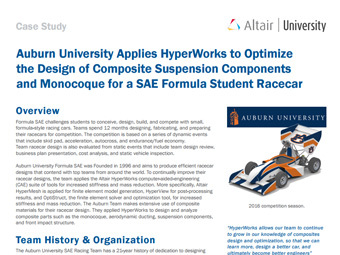 The team at Technische Universität Dresden used Altair Inspire to redesign a Formula Student steering column mount that saved 35% of the weight and is produced with additive manufacturing. 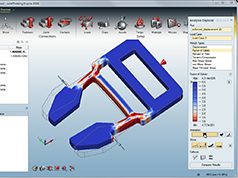 See how the PolyNURBS tool allows you to quickly create free-form solid geometry that is smooth and continuous. See an overview of the new features available in HyperMesh for 14.0. A new part-based workflow is available, which brings modularization to HyperMesh. 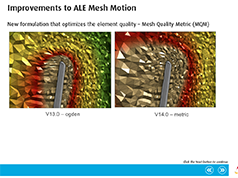 One of its primary benefits is that it promotes flow of data from PDM to HyperMesh. New options are available for accessing the BatchMesher. One of those methods is through the Mesh Controls Browser. 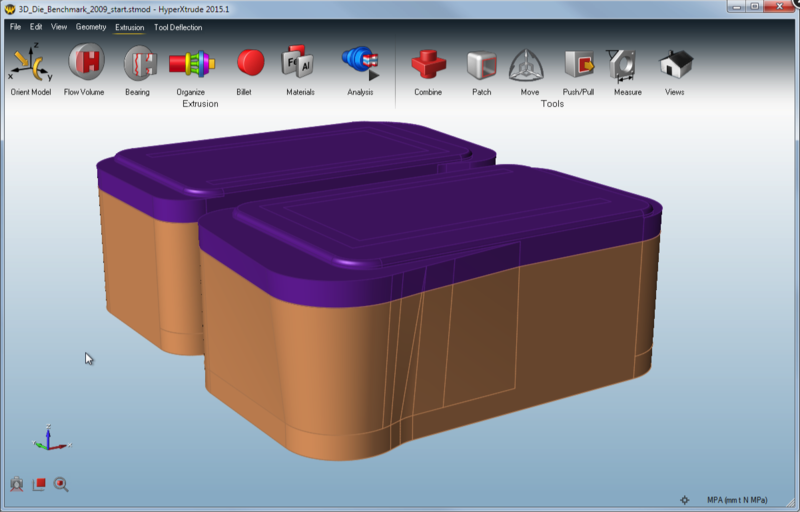 In this demonstration see how to use the Mesh Controls Browser and BatchMesher in HyperMesh 14.0. 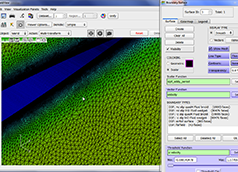 A new browser-based workflow for meshing has been implemented. 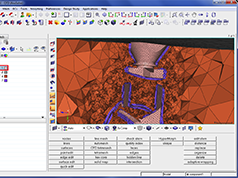 This workflow utilizes the new "mesh control" entity. 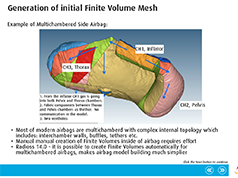 See an overview of the new tools available in HyperMesh 14.0 for aerospace users. Redundant entity management is enabled which provides the ability to control which FE/geometry, material, and/or property attributes are read into session. See an overview of the new features available in HyperView and HyperGraph for 14.0. This enhancement allows users to plot and view results for multiple overlaid models in a single window without having to switch between the models (In previous releases, result plots could only be viewed on current model). 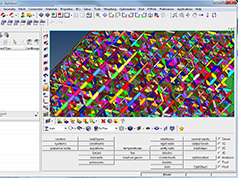 This new method of contouring can be used to read and contour results (for example, stress or strain) on both the top and bottom layers of a shell element simulteneously in a single plot. Significant improvements have been made to Video Overlay. 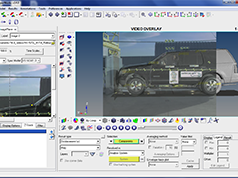 A clean overlay of a Model and Video/Image can be achieved by providing the properties of the camera used to capture the image or by a multi-point alignment method. A new toolbar called Visibility Controls has been added to HyperView for quick visibility manipulation- Isolate, Hide, Display All/None/Reserve and Unmask. This toolbar works on both component and element selections. 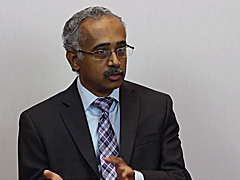 Sharma & Associates (SA), a Chicago-based consulting firm that is focused on providing engineering solutions to the railroad industry, led the effort. Since 1995, SA have delivered safe, effective and efficient solutions to its customers, which include the Federal Railroad Administration (FRA), the Association of American Railroads (AAR), railroads and transit agencies, rail car builders and rail car component manufacturers. The objective of the Altair ProductDesign team effort was to develop an ‘Engineer Protection System (EPS)’ that can protect train crew in frontal collisions (a common mode of train collision) from secondary impact injuries. 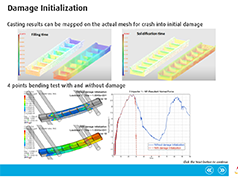 Analysis and optimization to improve crash performance while reducing reliance on physical tests. 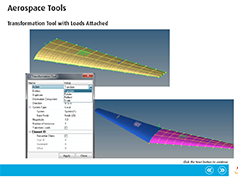 A demonstration covering the ways to load a geometry file into HyperXtude 2015. 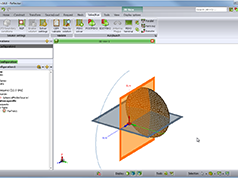 This demonstration covers the tools available to orient and set the global origin of the geometry. 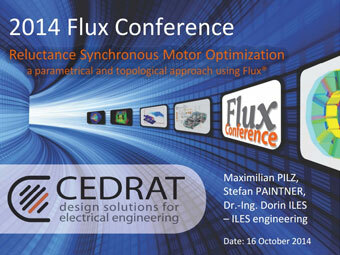 This demonstration will show how to extract the flow volume from the geometry loaded into HyperXtrude. 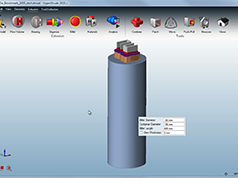 This demonstration shows how to extract the bearing profile using HyperXtrude 2015. This demonstration will show how to use HyperXtrude 2015 to organize the solid geometry in a model. 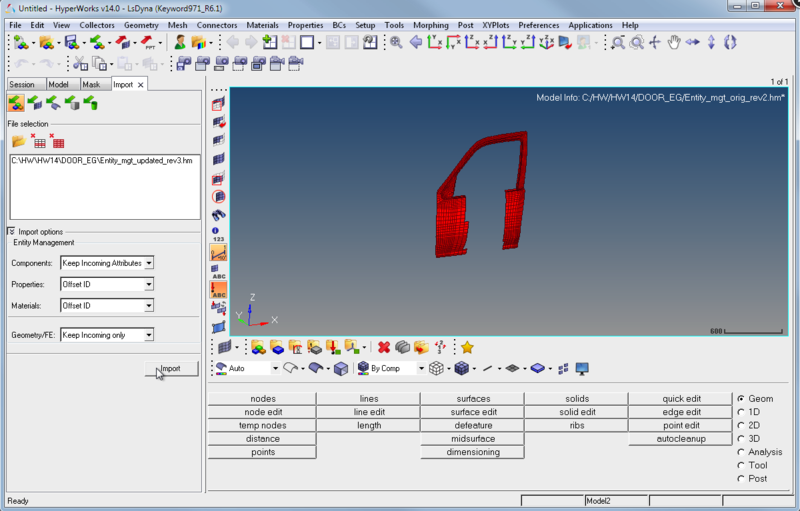 This demonstration shows who to create a billet in HyperXtrude 2015. 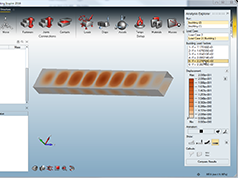 This demo will show how to use the material database in HyperXtrude 2015 to select a material for analysis. 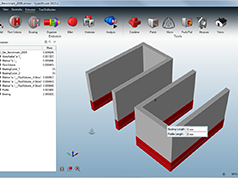 This demo shows how to run the analysis in HyperXtrude 2015. 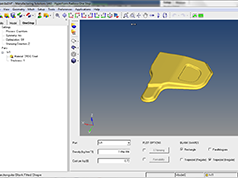 See how the PolyNURBS tool allows you to quickly create solid free-form geometry that is smooth and continuous. 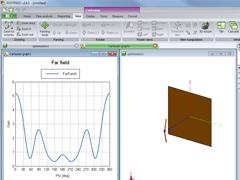 See a demonstration of the new angular velocity and accelerations tool which allows you to define the speed of rotation of the entire model and the axis about which it rotates. 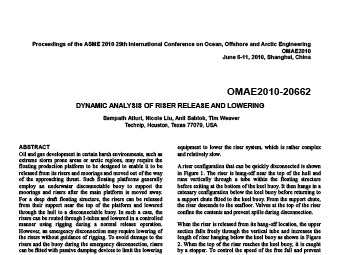 See a demonstration on how to analyze your model for buckling modes which are used to predict when a part will bend or collapse under load. See a demonstration on the new Enforced Displacement tool that can be used when the magnitude of a force applied to a part is unknown, but the amount that the part displaces when force is applied is known. 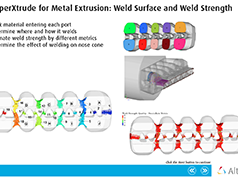 See a demonstration on the new Midsurface tool that allows you to find and extract surfaces from single thickness thin solid geometry. 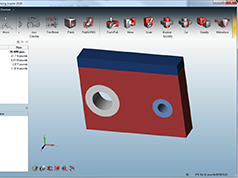 See a demonstration on the updated Push/Pull tool that allows you to create a new part by holding down the Ctrl or shift key as you pull. 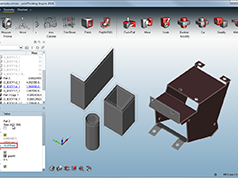 See a demonstration on the new Scale tool that allows you to resize selected parts. 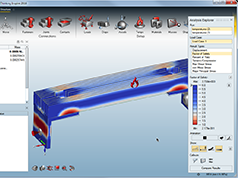 See a demonstration on the new Temperature tool that allows users to simulate the effects of temperature change on your model. 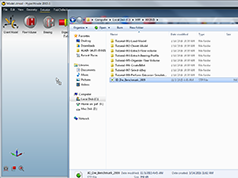 For an overview of what's new in HyperCrash 14.0, watch the 14.0 overview. 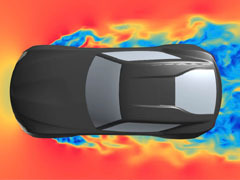 For an overview of what's new in Virtual Wind Tunnel 14.0, watch the 14.0 overview. 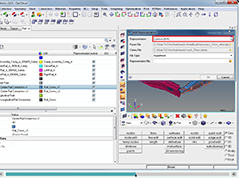 See an overview of the new features available in the CFD user profile for 14.0. Discrete or continous parameters can be defined and assigned to AcuSolve solver variables once the AcuSolve case is setup. 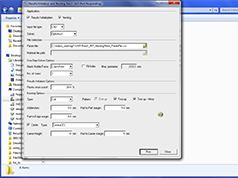 The HyperStudy Job Launcher is used to transfer the relevant data to HyperStudy. New options to refine the 2D mesh based on the proximity, angle, and shapes have been added. 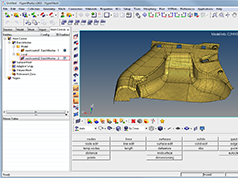 The options can be accessed through the mesh controls, along with surface deviation meshers. 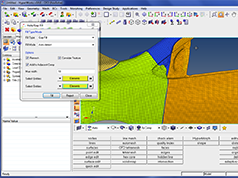 This tool is located in the mesh menu for all user profiles. 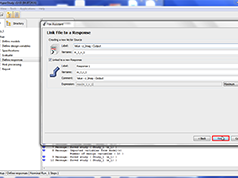 It is a useful utility to fill the holes and feature loops. It works for first order tri or quad elements. 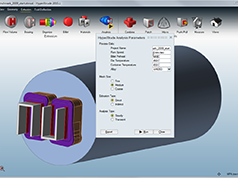 Filling selected components has never been easier. 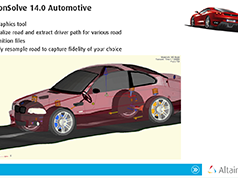 Watch the video to see an overview of the new features in HyperStudy for 14.0. 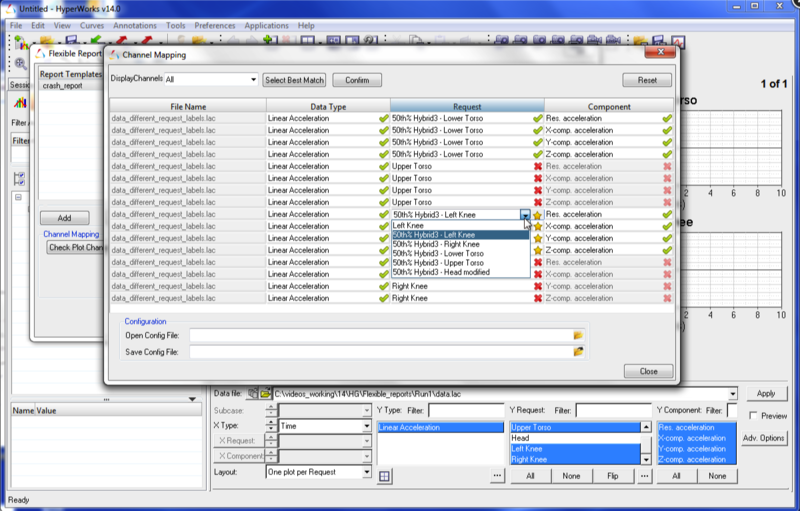 The inclusion matrix enables optimizers to optionally accept available run data as an input. 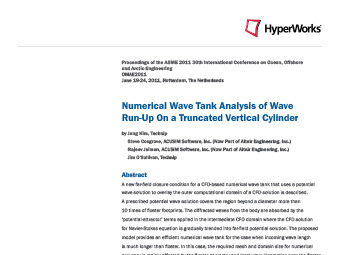 This can save significant time during the optimization process, as the optimizer can utilize previously run data. 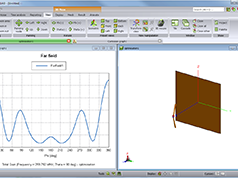 HyperStudy 14.0 offers a new FEKO Model Type along with a guided wizard to extract responses from the model. 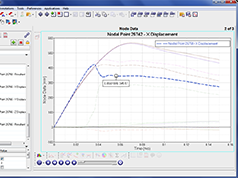 See an overview of the new features available in HyperForm for 14.0. 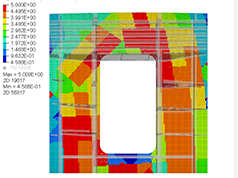 HyperForm supports for modeling the Hot Stamping process using a new material model (Hot Stamping HS Steel) that accounts for mechanical, thermal, and metallurgical changes during the forming process. 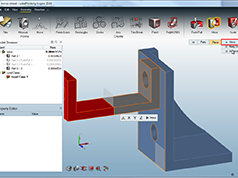 Carrier option added to support nesting for progressive die use cases. Added carrier options includes (double) side carrier, (double side) central carrier,and (double side) nested carrier. 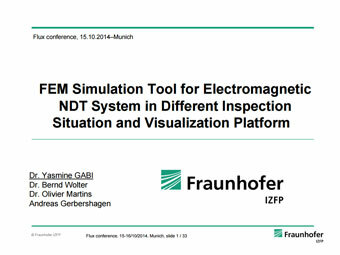 See a demonstration of the optimization capabilities within FEKO on a bent dipole. 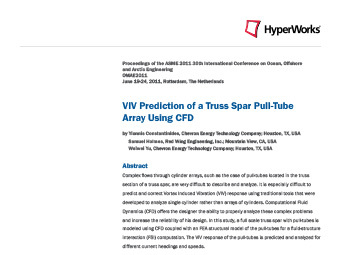 See a demonstration of the finite arrays tool creating a 4X2 dipole array. 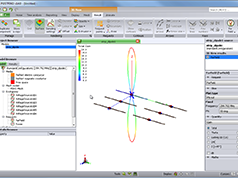 See a demonstration that sets up multiple configurations on the same model such as one dipole active and two dipole actives. 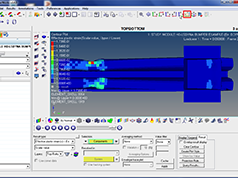 See a demonstration of creating an analysis of a waveguide splitter. 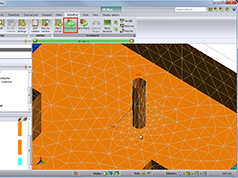 See a demonstration of an improved user interface for setting up equivalent sources. A new field data entity is introduced to the CADFEKO tree. 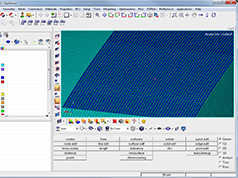 In this overview, you will see some of the new features in the MBS solution designed, for the Aerospace Industry. 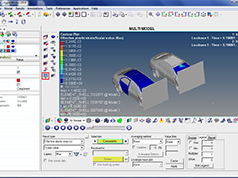 In this overview, you will see some of the new features in the MBS solution, designed for the Automotive industry. 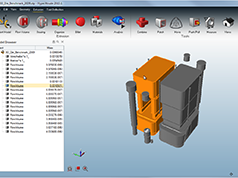 In this overview, you will see some of the new features in the MBS solution for uses in Machinery. 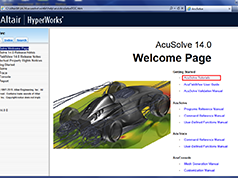 See an overview of the new features within AcuSolve for 14.0. 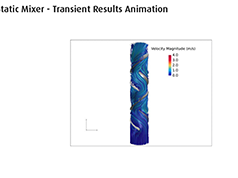 Major improvements have been made to the SST and k-omega turbulence models within AcuSolve. The new formulation improves the accuracy and robustness of the models by incorporating a change in variables for the omega equation. 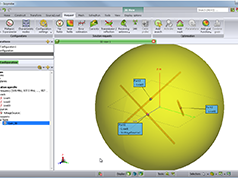 AcuTrace has been enhanced to support tracing of spherical particles having finite mass. When exercising this option, the particle velocity is no longer governed solely by the local flow velocity. 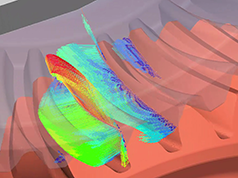 AcuTrace has been enhanced to support finite mass particle tracing. 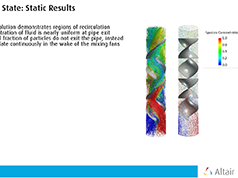 Common applications for finite mass particle tracing include fluidized bed simulations and other applications involving the transport of small particles within a flow field. The AcuSolve installation now comes equipped with tutorials that provide detailed instructions for getting started (with a code) and working with some of the commonly used features. 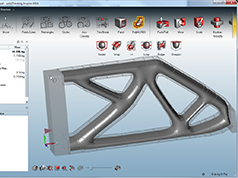 OptiStruct now offers a novel solution to create blended solid and lattice structures from concept to detailed final design. 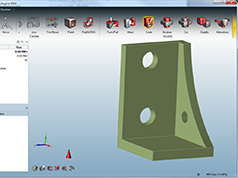 This technology is developed in particular to assist design innovation for additive manufacturing (3D printing). Fast Contact Analysis is now available for Node-to-Surface (N2S) contact and for CGAP/CGAPG elements. 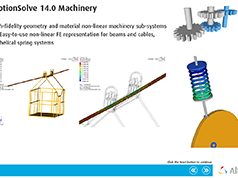 This is supported for models without material nonlinearity or friction. 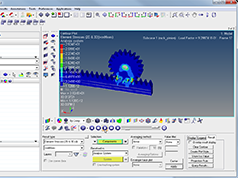 Large displacement nonlinear analysis is not supported. 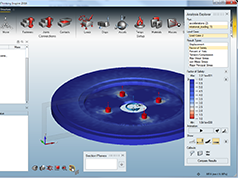 Finite sliding contact is now available for Surface-to-Surface (S2S) contact to simulate large sliding at the contact interface. Finite sliding is activated by setting the TRACK field on the CONTACT entry to FINITE. See an overview of the new features available in RADIOSS for 14.0.